Eeeep! Can you believe it's already November? That means only two more UFO projects to challenge! 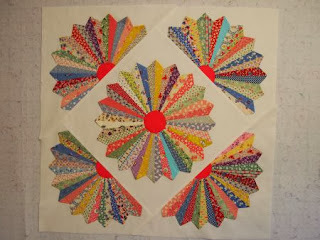 Here is my own challenge for November, "Dresden Blooms." The pattern is from Cozy Quilts. It's anothe rof my "1930s Reproductions" projects. And it was quilt #44 for 2013! This picture is of a 2008 Thimbleberries project. I am finally getting caught up with all the years of club projects. Now I have to get them quilted. There are 10 tops ready to sandwich and quilt. Love this one, Carol! 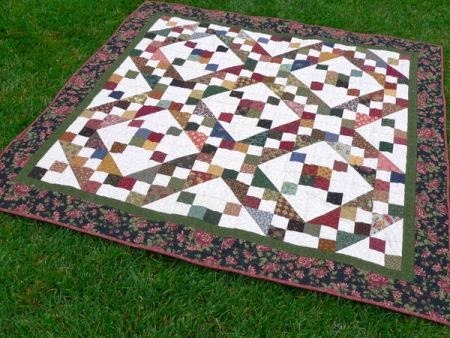 Maybe the 2014 UFO challenge should be "quilting and binding!" I really missed being with you all at quilt camp! Look at this adorable entry from Sandi. She calls it "Kindergarten." The stripe really makes this little quilt sing. I was so happy it was the smaller one of the three UFOs that remained for 2013. Little School Girl designed by Lori Smith is a pattern I picked up at Quilters Coop in Temecula during the annual outdoor quilt show that is held each October. The year the pattern came home with me was 2011. Pattern is in Lori's Q is for Quilt series. 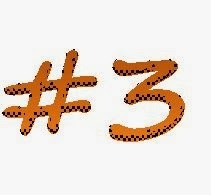 www.frommyheartoyourhands.com. Sandi blogged this quilt at KwiltnKats here. 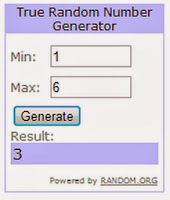 Be sure to go to her post, because she reviews all her 13 in 2013 finishes so far! Deb's October finish is a design that is dear to my heart -- Jacob's Ladder, this one from Thimbleberries. My year of FINISH has been a good one (this is UFO Finish #47 for 2013) and I'm hoping to end the year with less than 25 UFOs in my Collection so I'll be doing lots of quilting through the end of December! You're ahead of me, Deb! 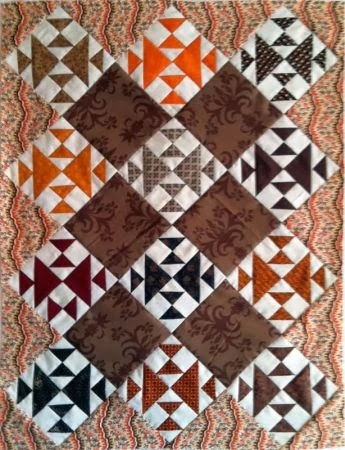 I've only pieced 46 tops so far this year! 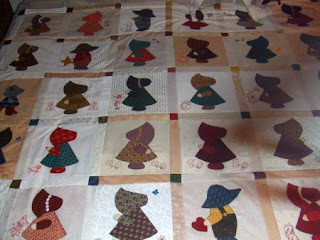 Debra finished her Sunbonnet Sue! Everybody cheer! I know a lot of us have a Sunbonnet in our "UFO stash," so this is a BIG finish. I have to show all three photos, because this quilt is just too big to fit in one photo! 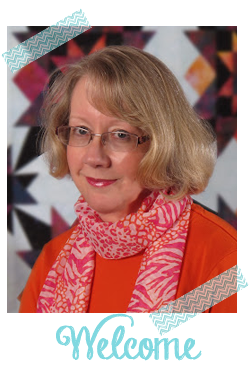 Look at Debra's great embroidery! 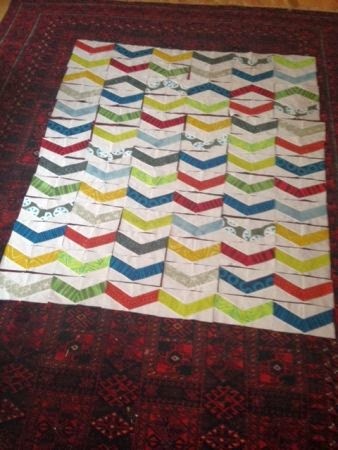 I have also sent over a picture of a quilt I started in September 2013 with Sandi Delman (www.kwiltnkats.com). It is a Buggy Barn original and is called "If the Hat Fits". Of course I had to make one of my witches wearing her beautiful "ruby slippers". Since I live on "Oz Court," Debra, I really should add this quilt to my "bucket list!" Here is a quilt from a 13 in 2013 "newbie" (at least I think newbie), Donna. See, I told you it's OK to join in at any point! Recently finished (October 4, 2013) queen-sized quilt "Labyrinth" from Keepsake Quilting for my son and soon to be daughter-in-law. First time working with batiks, and I really liked them! 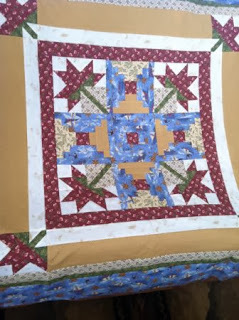 Machine pieced, hand quilted. 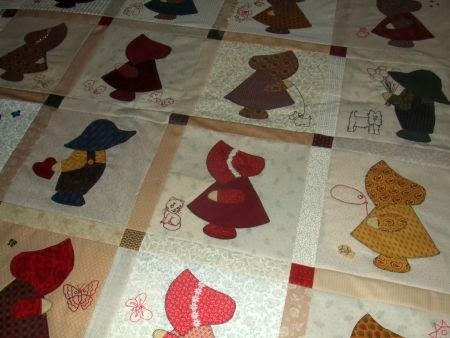 I love how she just drops in that "hand quilted." This is a queen-sized quilt, people! Very impressive, Donna! That would be Deb S. Congratulations, Deb! Please send me your postal address and I'll send the book to you. I count 127 finishes so far this year! And that doesn't include my own (I don't count me for the giveaways!). Wow! What do you think we should do next year? I'm thinking maybe a "BOM Finish" (what, you don't have 12 BOMs underway?). 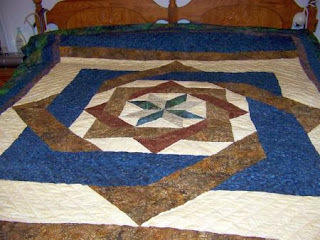 Or maybe a "quilt and bind" finish. Or perhaps just a "12 Finishes" finish. I missed this email from Martha. She reports it uses a new "zig zag" tool. 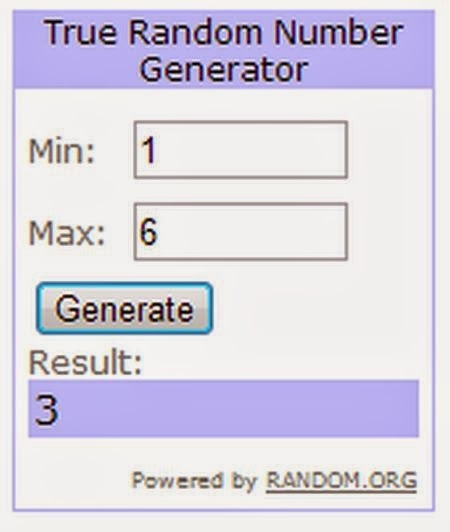 As soon as I find out who makes, it, I'll feature it on a Tuesday tool! 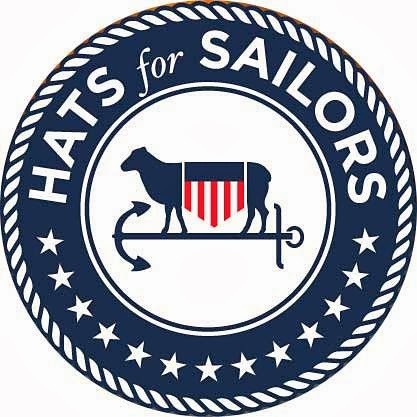 Hope to see your quilt here on December 1! Unlike Sandi, my largest, most time consuming UFOs ended up the last 4 months! I already started my packaging for 2014 :-). I can work BOM or quilt and finish or ? I just appreciate this group holding me responsible for doing something! Irene, thank YOU for your kind comment! It is so much fun to see what people are finishing -- I'm thinking "Finish 12 in '14" for next year! Looks like you are still on track for 52 in 2013! Fantastic! 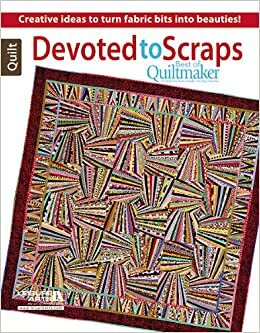 It's to inspiring to see all these folks quilts finished! I'm quilting away on one myself as we speak. Have a super day! So fun to see the finishes and I'm thrilled to have some new scrappy inspiration coming my way - thanks Marti! I am so looking forward to having (hopefully!) a one page list of UFOs in 2014 and will be game for whatever you come up with. Well done to everyone who finished and remembered to email Marti. Congratulations to Deb. ...Hopefully I will have a finish for November. 12 BOMs??? Not me - but I'll go with whatever you choose. I follow your blog and I should totally join in next year for sure! 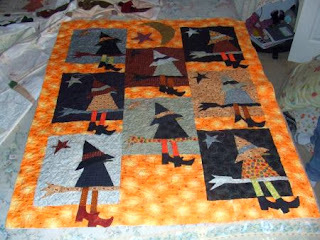 It is so fun seeing all the wonderful quilts that every one is working on! Thanks ladies! Like a little mini quilt show! Linda, I hope you will join us next year. It's so fun to see what everyone finishes!